Hopefully it fixes many of the issues of the Liberty series. 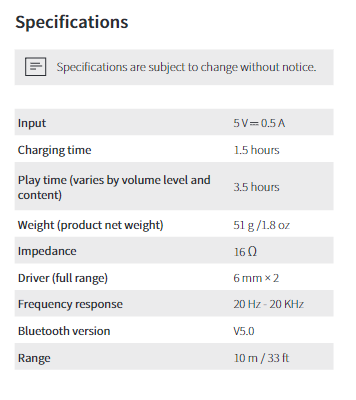 To my surprise, some specs appear to be closer to Liberty+ than Liberty (Bluetooth 5.0, 6mm drivers). In fact, really the only noticeably weaker spec that we can tell at this point is the battery life benefit from the case. In my opinion, this is a great area to cut some corners on to make for a cheaper product. Not only that, but I thought the case was too bulky previously anyways. Looking forward to reading some of the initial impressions and first reviews from members right here on the Community! They also restyled these and from the pictures they are no longer as bulky as the liberty's are. The case also looks much more user friendly and it seems it would be easier to remove these. I wonder if they fixed the low-volume on one side problem many Liberty+ users, including me, experienced. Good find. I wonder what the difference in weight will be? I can't find the weight of the Liberty+ , someone who owns could weigh, then we'd know. Well they did not come out yesterday and nothing yet for today. I messaged Soundcore on Facebook asking if there was an update for when they would release and they simply said "There is no update. Sorry". So I'm anxiously awaiting the release of these, they seem great. On Amazon UK when I looked this morning. i have bought the liberty lite, received today. the sounds is very good and i never found bt disconnection at all. 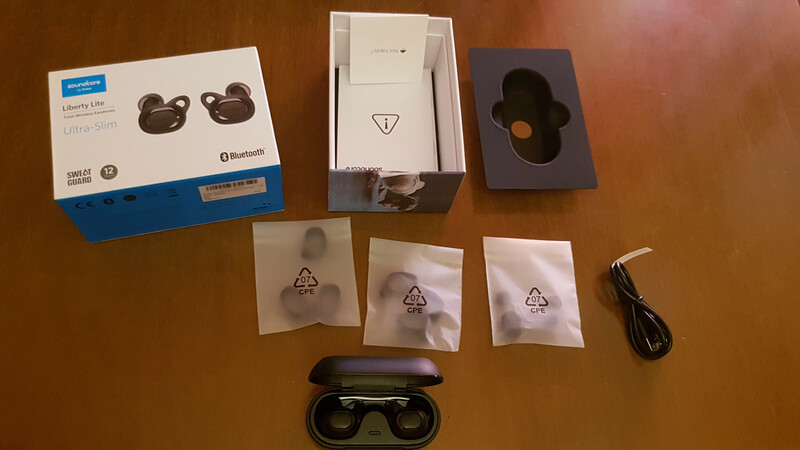 i have chose this model in particular because of not big and heavy like Zolo liberty plus and very important, because on the manual i have seen that there is like liberty+ the sound surrounding function by press for 3 seconds the right button. i have tried but nothing happen! tried every combination, keeping the button 3 second or press 3 time etc.Nothing. Please something can help me? I hope it is not a function of the liberty plus copied and forgotten by the zolo liberty plus manual. But I'm glad you're enjoying the new product! The feature is present on the liberty lite manual.. Understand that mistakes happen, but luckily for you, it doesn't appear to have been advertised on any of Soundcore's press material or the Amazon listings, which hopefully reduced misleading information prior to purchase, and unfortunately, isn't always the case. So far 8 reviews averaging 3.6 One reviewer specifically targets the poor fit I think we need to see a complete redesign with the next version.